In late 2017, the New Zealand Government introduced a finance policy in which citizens without prior tertiary experience could be eligible for 1 year of tertiary education without fees. The current study was conducted to examine new entrant students’ self-reported influence of the Fees-Free Policy on their decision to enrol in university and whether such influence varied as a function of group characteristics. Further, the study explored relations between policy-related influence, students’ early experiences during their transition to university, and semester-to-semester retention. With a cross-sectional design, participants were first-semester university students (n = 1028) from one New Zealand institution. Results showed that the policy influenced approximately one in three students in their decision to enrol in university, and 5.8% stated they would not have enrolled if the policy had not been implemented. Estimated policy influence differed across age, ethnicity, admission status, and priority learner status. Findings show that students who were more strongly influenced by the policy reported poorer academic self-efficacy, adjustment to university, subjective wellbeing, university satisfaction, and semester one Grade Point Average (GPA). Results indicate that students who were more strongly influenced by the policy were more likely to show interest in an early departure from the university within the first few weeks and less likely to continue their studies at the institution by the second semester. 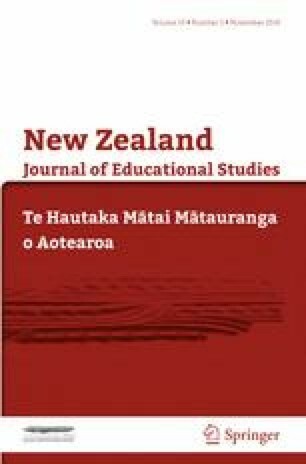 Discussion focusses on potential benefits and concerns involving the early implementation of this educational policy on students and their families/whānau, members of the tertiary sector, and Aotearoa New Zealand community. The authors wish to thank the institutional research team at the University of Canterbury, as well as the participants for the generous donation of their time, insights and candidness. Gerritson, J. (2018). Little benefit from zero-fee policy—universities. Retrieved from https://www.radionz.co.nz/news/national/351136/little-benefit-from-zero-fee-policy-universities. Hipkins, H. C. (2017). Government delivers big boost for students. Retrieved from https://www.beehive.govt.nz/release/government-delivers-big-boost-students. Tertiary Education Commission. (2018). Fees-free info sheet—Changes to the fees-free policy for 2019. Retrieved from https://www.tec.govt.nz/assets/Publications-and-others/.